Kirkland Main (Voda Apartments), Seattle, WA – a 128-unit rental apartment building, in partnership with Continental Properties LLC, completed in 2018 and sold in 2018. Tower 12 Apartments, Seattle, WA – a 314 unit rental apartment building, in partnership with Continental Properties LLC, completed in 2017 and sold in 2017. Escher Condominiums, Victoria, BC – a 82 unit condominium building, in partnership with Chard Developments Ltd., completed in 2016 and sold in 2017. Capri Apartments, Kirkland, WA – a 73 unit rental apartment building, in partnership with Continental Properties LLC, completed in 2016 and sold in 2016. Vik Condominiums, Seattle, WA – 117 condominiums building, in partnership with Continental Properties LLC, completed in 2016 and sold in 2016. 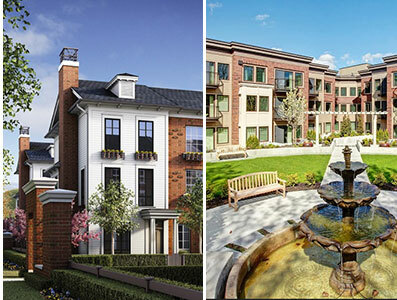 Oxford Lane, Richmond, BC – a 49 unit townhome complex, in partnership with Townline Homes Inc., completed in 2016 and sold in 2016. Oak & 64th, Vancouver, BC – a residential land sale, in partnership with Chard Developments Ltd, purchased in 2016 and sold in 2016. 3600 Lysander Lane, Richmond, BC – a class A 116,000 square foot commercial building located on Sea Island was sold in March, 2015. 3600 Lysander Lane, Richmond, BC surplus undeveloped land was sold in March, 2014 to the Pacific Autism Family Centre. Barrow Street, North Vancouver, BC – a 10 unit strata building, in partnership with PC Urban, started in 2012 and sold out by February, 2014. Gatsby Apartments, Seattle, WA – a 70 unit rental apartment building, in partnership with Continental Properties LLC, completed in 2013 and sold in 2014. Jax Apartments, Seattle WA – a 76 unit rental apartment building, in partnership with Continental Properties LLC, completed in 2014 and sold in 2014. Vox Apartments, Seattle, WA – a 58 unit rental apartment building, in partnership with Continental Properties LLC, completed in Spring 2013 and sold in October 2013. Renfrew Business Centre PH II, Vancouver BC – undeveloped property situated at 12th Avenue and Renfrew, in partnership with Pacific Capital Real Estate Group, was sold in September, 2013. Dominion (MOSAIC), Port Coquitlam, BC – WMC participated in mezzanine financing with Gryphon Capital Management Ltd. in MOSAIC’s sold out ‘Dominion’ project, a 114 brick row home development in 2013.